Seachem Reef Buffer will also raise carbonate alkalinity; however, it is intended primarily for use as a buffer in a reef system where the maintenance of a pH of 8.3 is often difficult. 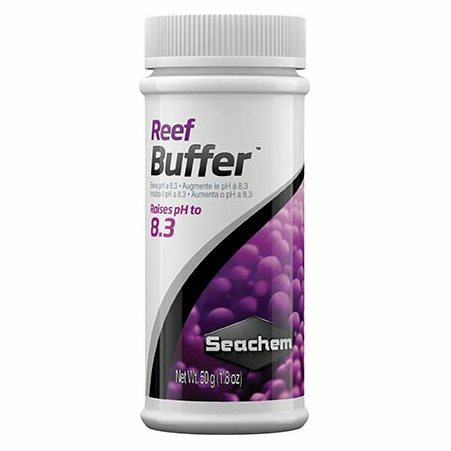 When pH is not an issue, Reef Builder™ or Reef Carbonate™ should be your first choice for a carbonate alkalinity supplement. Seachem Reef Buffer is specifically designed to meet the needs and requirements of the closed reef environment. 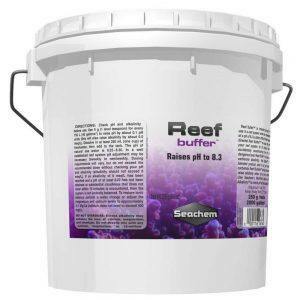 The principal difference between Reef Buffer™ and Marine Buffer™ is that the pK of Reef Buffer™ is slightly higher than that of Marine Buffer™. The pK of a buffering agent is equivalent to the pH around which that buffer most strongly buffers. 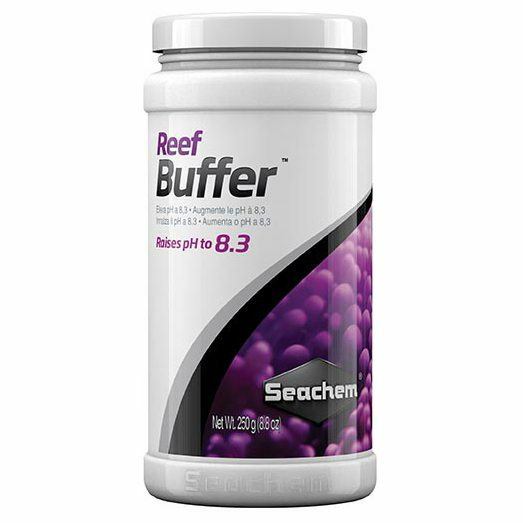 One would presume, then, that the pK of a saltwater buffer should be 8.3; however, the multitude of organic acids produced by the inhabitants of a reef system forces pH downward to a much greater degree than in a non-reef, marine system. 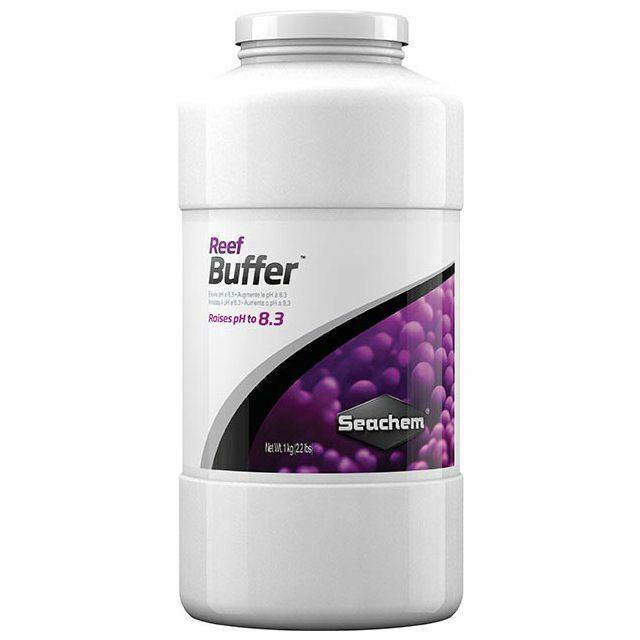 A buffer with a pK of 8.3 would end up yielding a pH more in the range of 8.0-8.2. Reef Buffer’s ™ higher pK (8.6) allows for greater pH stability in a reef system where the bioload is significantly more than in a fish only system. Competing products are not designed specifically for the reef environment; the pK is too low (in most cases, pK 8.3). At this pK, the proper pH can never be reached in saltwater. Competing products are not designed specifically for the reef environment; the pK is too low (in most cases, pK 8.3). At this pK, the proper pH can never be reached in saltwater. Reef Buffer’s™ higher pK (8.6) allows for greater pH stability in a reef system where the bioload is significantly more than in a fish only system.